Coming soon to a TV near you…..Tamara and Armando!! Well, that’s what we had envisioned when we saw postings all over our condo lobby and elevators, notifying us that for four days, Steven Seagal and the cast and crew from his TV show True Justice would be filming an episode around our condo building. Our chance to finally be discovered! We knew in our hearts that we were meant to be the next Angelina and Brad and we had been patiently waiting for this moment to come. I know…you’re thinking maybe more Uma and George Lopez but keep those thoughts to yourself. Don’t burst our little bubble. We reviewed the itinerary posted… a scene at the steakhouse across the street, a street fight, a speeding car throwing someone out on the curb….ooohhh, how exciting!! 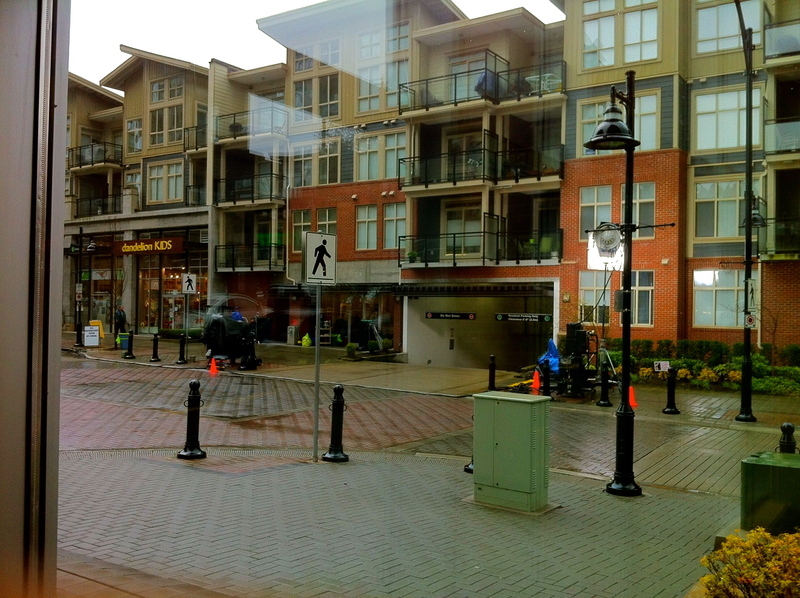 Our condo is in a pedestrian-friendly “village”, filled with condos, shops and restaurants. Filming was taking place throughout the village so we decided to loiter at the coffee shop first. “Why are you all dressed up? You never get dressed up like that to go to the coffee shop?” Armando asked. Armando rolled his eyes as I countered, “Well, I’m not the one who booked my business flight to leave later in the day just so I could try to catch the fight scene.” We laughed at each other as we headed outside. Lighting. Large white trucks filled with gear. Thick electrical cords running along the street. People standing around with headphones. We could see things set up that confirmed something exciting was about to happen. We walked around the block. No action. We made our way to the coffee shop to waste some time then took a walk around the other block. Still nothing. Around noon, a scene was going to be shot at the steakhouse, according to the itinerary. Perfect! We were hungry so why don’t we just have lunch at oh, I don’t know where….maybe the steakhouse? 🙂 We walked up to the restaurant, looked at the hours of operation and realized that the restaurant never opens for lunch. Drat! The itinerary indicated that an outdoor fight scene would be filmed that afternoon. With the lighting set up, it appeared that they were going to film the scene right outside our condo building. I suggested to Armando that we linger in our condo lobby because we had a perfect view from there. We sat on the lobby couch and Armando grabbed a newspaper to disguise our intent. “Have you seen Steven yet?” A woman asked us as she walked into our building. We gave her a confused look, pretending to have no idea what she was talking about. Acting at its finest. “I guess Steven Seagal is shooting a show here,” she explained. We had her fooled. Can anyone say Oscar?! “Oh, is that what’s going on?” Armando smoothly asked. We were so rocking the “incognito” thing. Truly, we were meant to be the next Mr. and Mrs. Smith. The view from our condo lobby - lighting set up for the filming of a True Justice episode but not a lot happening on set. Unfortunately, we have short attention spans. The whole waiting around thing got old fast. In four days, the only action I saw being filmed was a girl running and then jumping into the passenger side of a vehicle in our parkade. But by then, Armando had already left on his business trip and what’s the point of being discovered if I don’t have my Mr. Smith next to me?